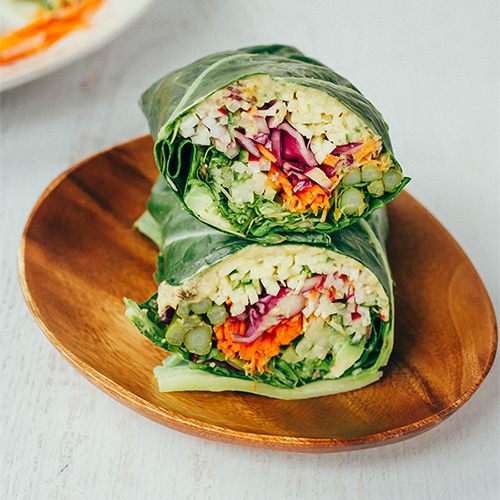 Eating food in wrap form, whether it’s held together by lettuce, rice paper, or tortillas, always takes your daily salad and sandwich routine up a notch. Especially if it takes less than 15 minutes to make. 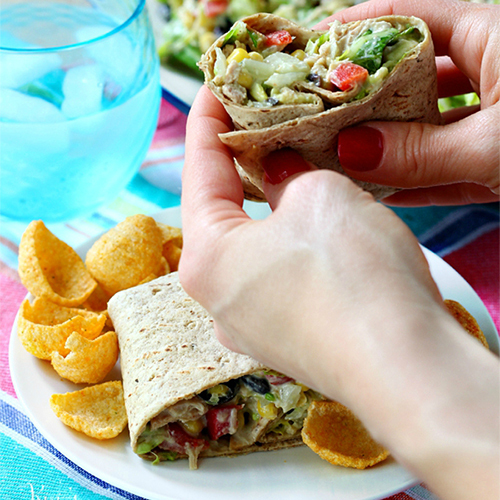 We always love to get creative with our fillings and experiment with unique flavor combos in the kitchen, too — which is why we’re constantly craving the wrap recipes below! 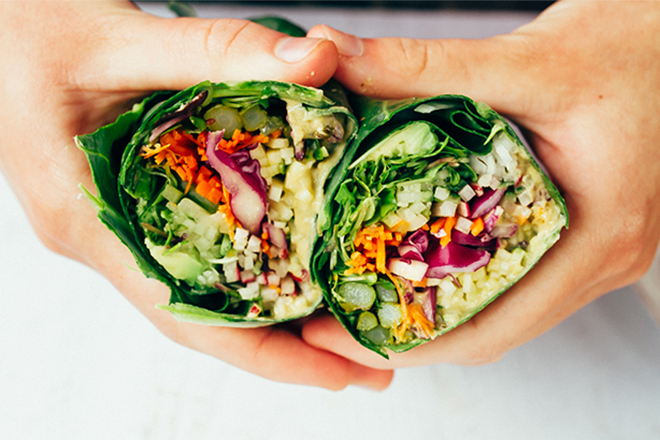 Wraps are the best way to mix sweet and savory and we guarantee you’ll fall in love with these wraps. These sweet and savory delights are perfect for any BBQ or pool party. 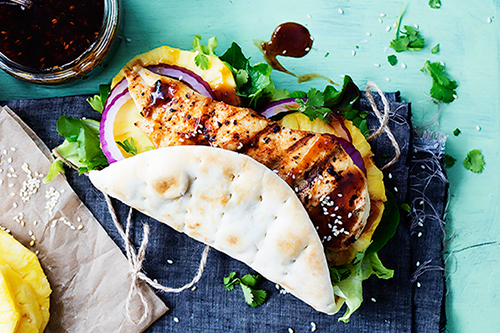 Mix grilled tangy pineapple with the sweet and savory taste of teriyaki and you’ve got yourself an out-of-this-world wrap! 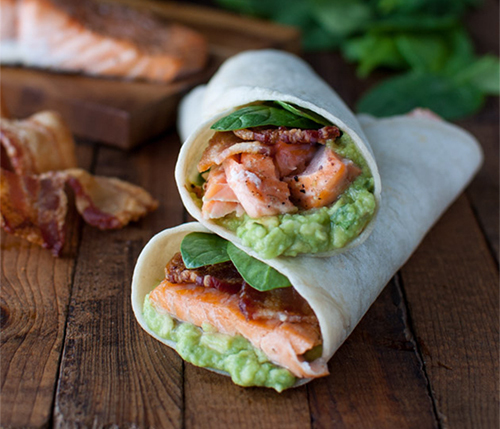 Indulge in all your healthy fats at once with this simple yet nutritious protein wrap. Why have we never combined these three ingredients into a wrap before? Egg whites in a wrap? Your breakfast just got taken to a whole ‘nother level. The breakfast staple combined with collard greens make for an extra scrumptious pairing! We found a healthy version of P.F. 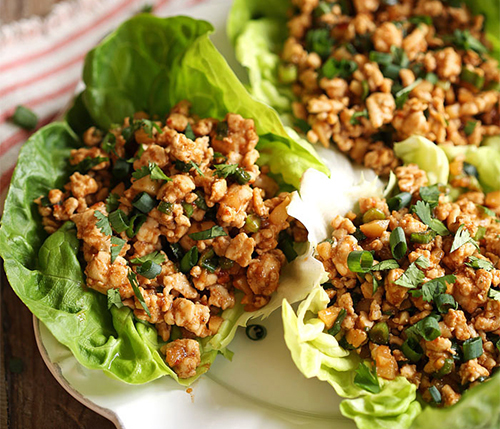 Chang’s lettuce wraps we all know and love. 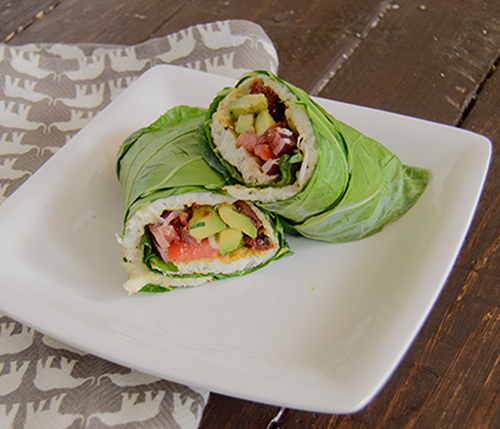 #bless With less calories, more flavor, and a quick and easy recipe, this wrap is a dish you will devour and make again and again. You can never be too bold with your spring roll ingredients! 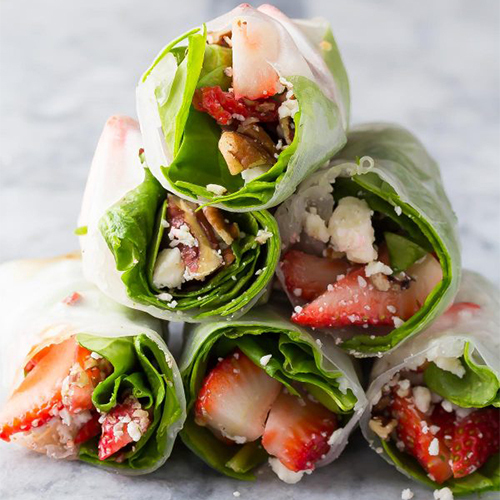 Strawberries add a refreshingly sweet twist to the classic spring roll. It’s basically your fave salad…conveniently packed! 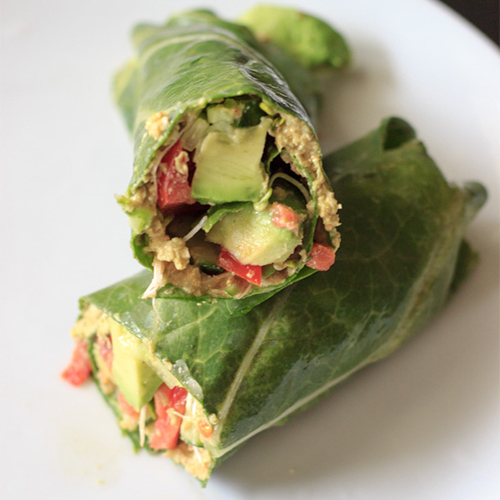 These vegan and gluten-free wraps are so easy to make. Raw ingredients make this recipe simple and the perfect dinner for a night in. Turn your boring tuna salad mix into something better. With black beans, bell peppers, olives, corn, and avocado all wrapped up in a tortilla, there’s no turning back to the basic version. 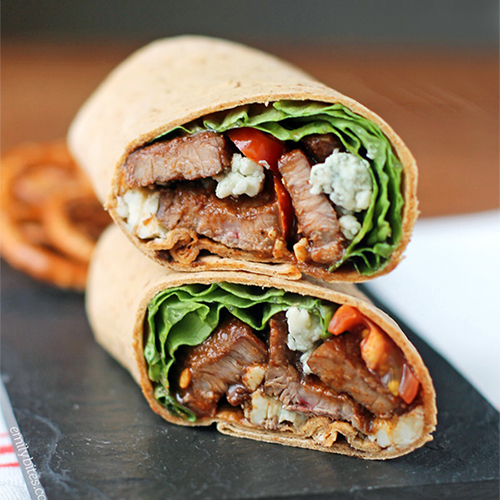 Tender flank steak and blue cheese are at the center of these gourmet wraps. Top it off with tomatoes and balsamic and you’ve got an easy weeknight meal and leftover lunch! Sunflower hummus is new to us, but it tastes amazing as it looks! It’s full of healthy flavors and will be a refreshing addition to your weekly lunch. Who says a hamburger patty has to be eaten on bun? 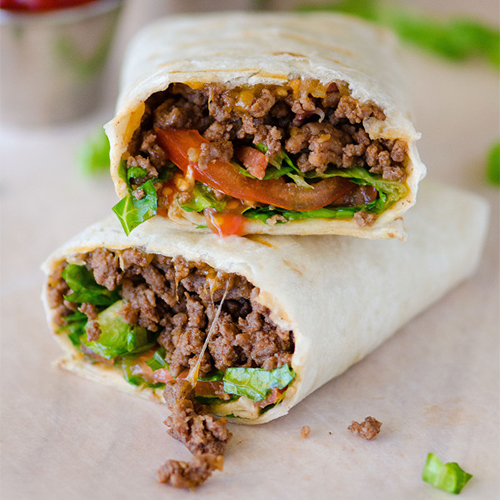 Wrap it up in your tortilla of choice to eat your fave burger ingredients in a new way!